In the normally sedate gardens of the Edinburgh Book Festival, it is causing quite a furore. From this autumn, a number of publishing houses will "age band" their children's books. Each book will carry a specific marking indicating they are suitable for readers aged 5+, 7+, 9+, 11+ and 13+/teen. Research within the book industry suggests people buying books for children would welcome the guidance. But it is a scheme which has already enraged a number of writers, among them former children's laureate Michael Morpurgo. "For me, the biggest issue is getting the book to the reader and how that's done I'm happy to leave to the marketing people unless they overstep the mark. In this case, I feel they really have overstepped the mark," he said before a sell-out event at the Edinburgh International Book Festival. "If they had asked writers and children and parents they would have realised a lot of people are outraged at the prescriptive nature of this scheme. "There's no such thing as an average seven-year-old. They could be four or 10, or like me, 65 - it's just nonsense." Mr Morpurgo added: "If you say a book is for a seven-year-old, the nine-year-old is going to be trying to cover it up at the back of the class. "There are so many more important issues they should concentrate on. "The best way to get children to read is to write good books in the first place, make sure they're beautifully illustrated then have libraries open and teachers who love books and parents who love books. That's how we improve reading among children." 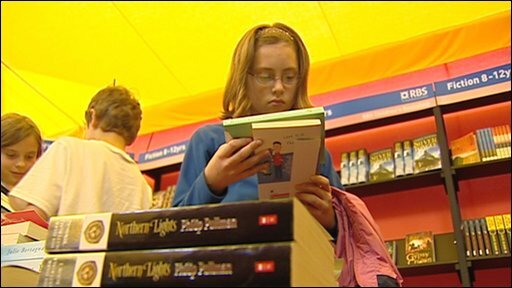 The scheme followed research by the Publishers' Association, which suggested standardising age recommendations might help boost reading. "The interesting thing about children's books is that it's not the readers who are buying them - it is parents and grandparents and libraries and schools," said Sarah Grady, the children and education programme director for the Edinburgh International Book Festival. "I think that's what the publishers were trying to address. As a reader, you drop a book if you don't like it so children will self censor, but it's knowing what to buy them in the first place." 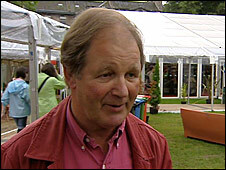 Michael Morpurgo described the scheme as "nonsense"
Publishers themselves are divided on the subject. JK Rowling's publisher Bloomsbury has not added its name to the Publishers' Association statement on age-banding. The Harry Potter author has spoken against the policy. Most major publishers - including Puffin, Orion and MacMillan - are in favour of age banding unless individual authors object. A statement from the Publishers' Association Children's Book Group said: "There always has been, and still is, no question of age guidance being added to a book without full consultation with the author." Writers have been vocal in their criticism - more than 750 authors have already signed an online petition set up by Philip Pullman, best selling author of the His Dark Materials trilogy. They include JK Rowling, Anthony Horowitz, Terry Pratchett, Alan Garner and the four writers who have held the Children's Laureate title - Quentin Blake, Anne Fine, Jacqueline Wilson and Michael Rosen.